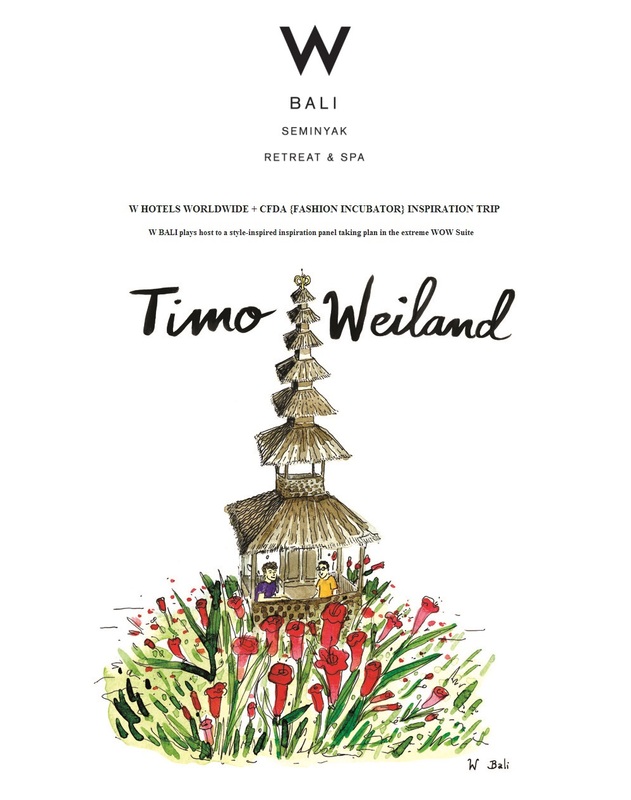 INSPIRATIONAL TRIP WITH TIMO WEILAND + W HOTEL BALI + CFDA - My working trip after one year finally, and so excited that I will meet one of CFDA designer, Timo and Alan from Timo Weiland, one of young talented New York City designer. Meet the young New Yorker, working as a fashion designer in an inspiration trip in Bali? Interesting combination right? I barely can't wait to exploring the trip and talking with them, and I just realized that Timo (the guy with the beard) is one of 50 Most Stylish New Yorker in 2011 by Style Caster, ok I need to see the rest :), but for now I am listing the question for them, do you have any question for them? see their work in their website www.timoweiland.com and of course so happy will enjoy W Hotel Bali for a couple days.